Darts form an important part of garment construction. They are added to give shape to the bust, waist, back and hip areas of garments. 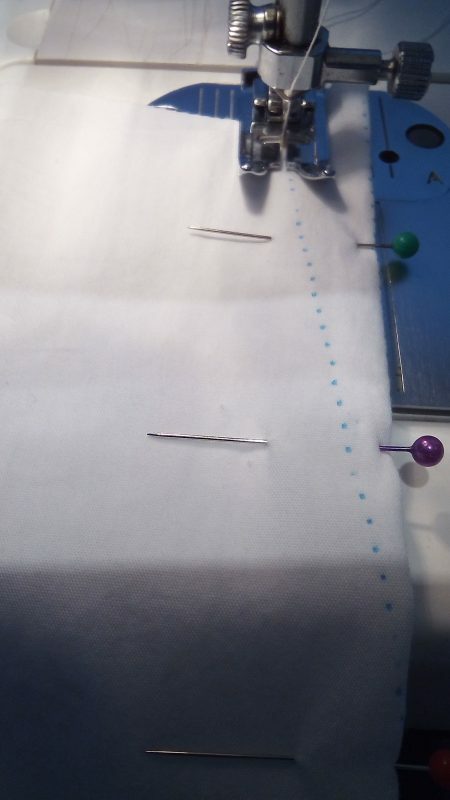 There are a few ways of marking out darts onto fabric. 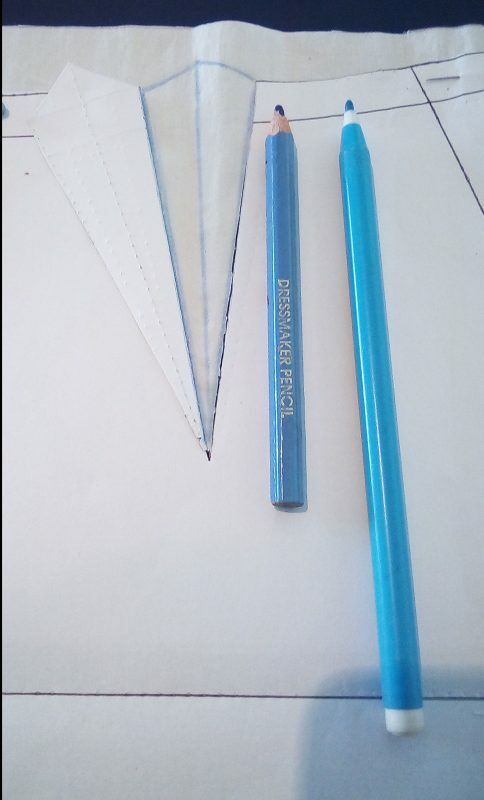 Dressmaker's carbon tracing paper can be used to transfer darts onto fabric, with a tracing wheel. 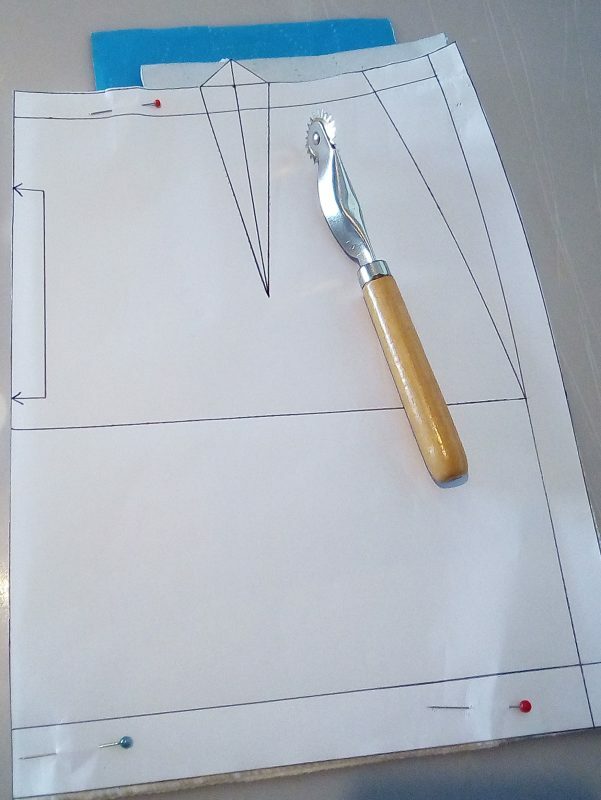 When using this method, it is best to work on a hard surface, like a cutting mat. 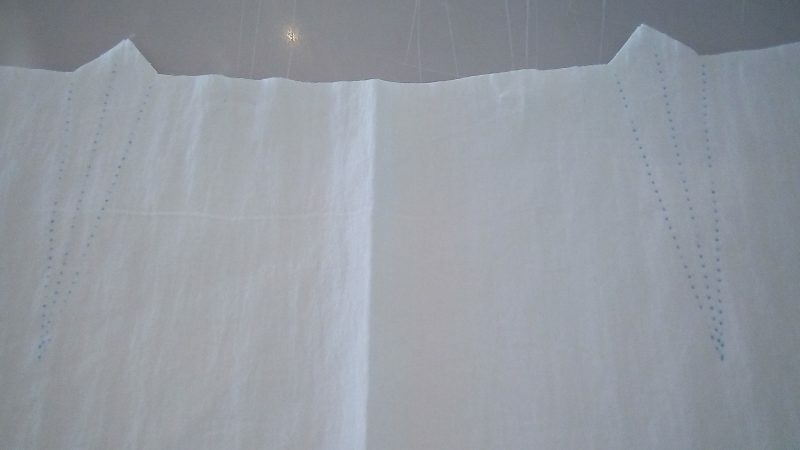 Fold the fabric right sides together. 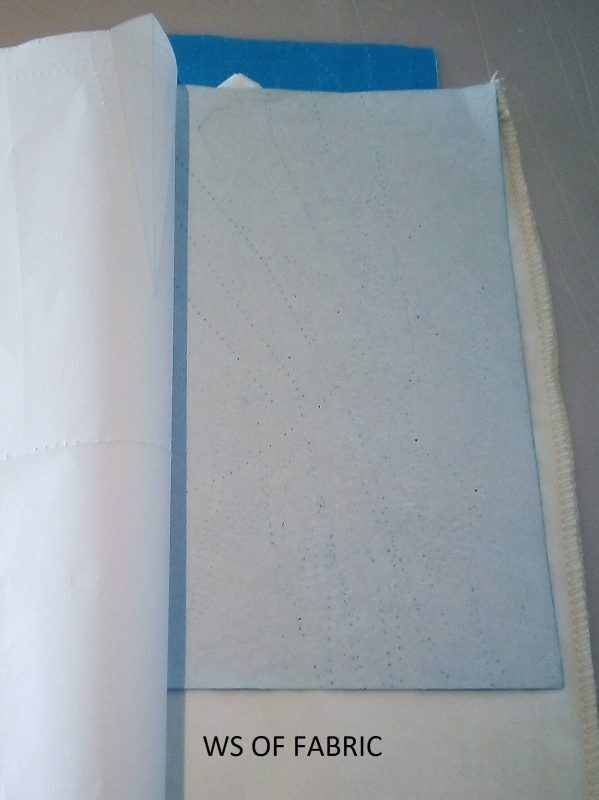 Place the waxed side of the carbon paper, on the WRONG sides of the fabric. Pin the pattern on the fabric, over the carbon paper. Run the tracing wheel firmly over the dart on the pattern. 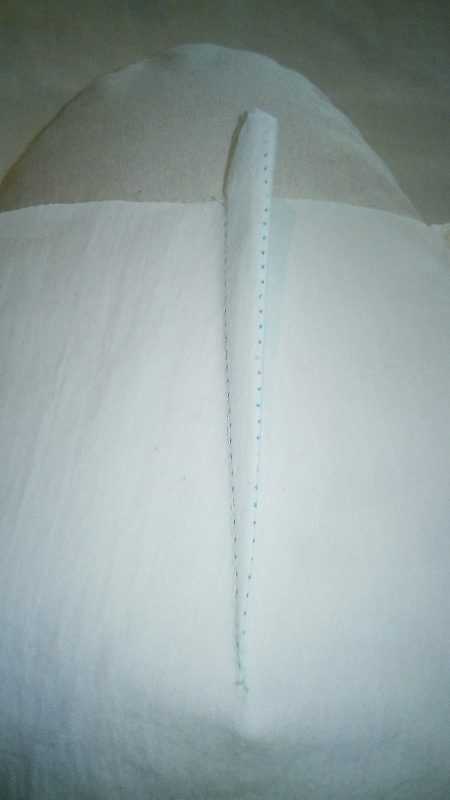 Cut one side of the dart on the pattern and fold it back to expose the fabric under the pattern. 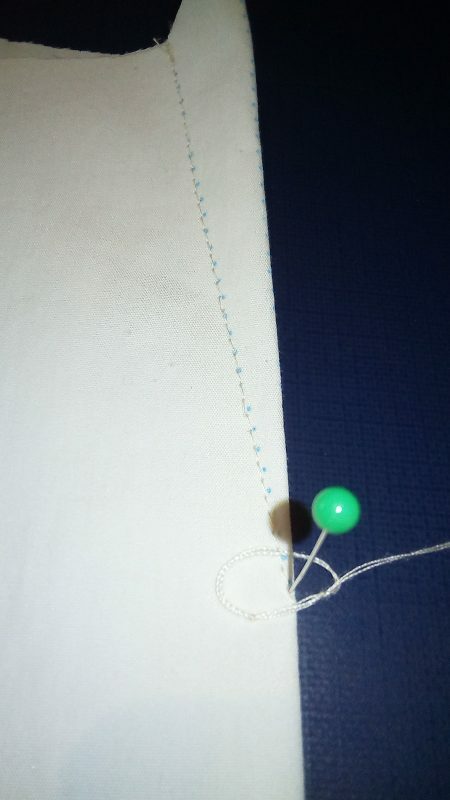 Use fabric markers like a dressmaker's pencil, tailor's chalk or tailor's pencil, to mark the dart onto the fabric. 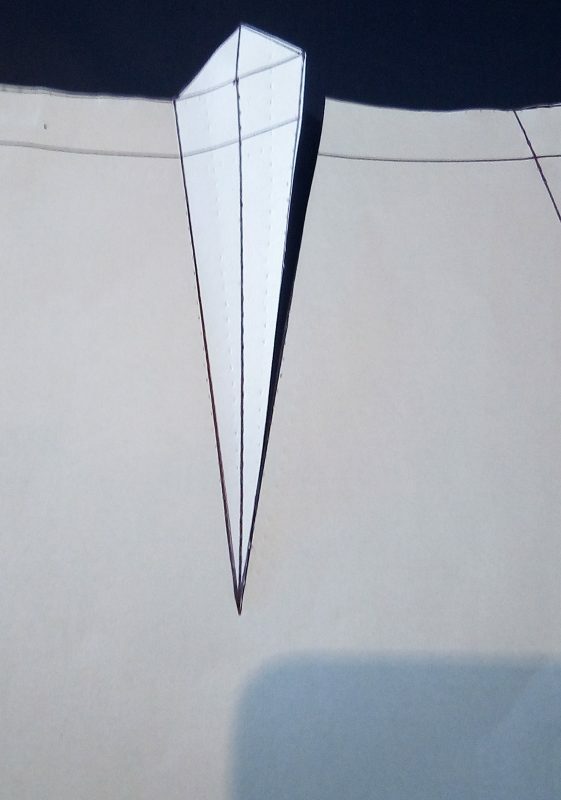 Fold the dart right sides together and pin. Machine stitch the dart, starting at the widest part of the dart, sewing down to the end of the dart. Pivot at the end of the dart, or make a knot. Place the dart over a tailor's ham and press the dart to one side. Read more about the tailor's ham in the post on Pressing Equipment.